Born in Mobile, Alabama, Blaine Hoven began his training at Mobile Ballet under the direction of Winthrop Corey and Ann Duke. During his high school years, he trained at the North Carolina School of the Arts with Melissa Hayden, Warren Conover, Fanchon Cordell, Nina Danilova and Susan McKee McCollough. 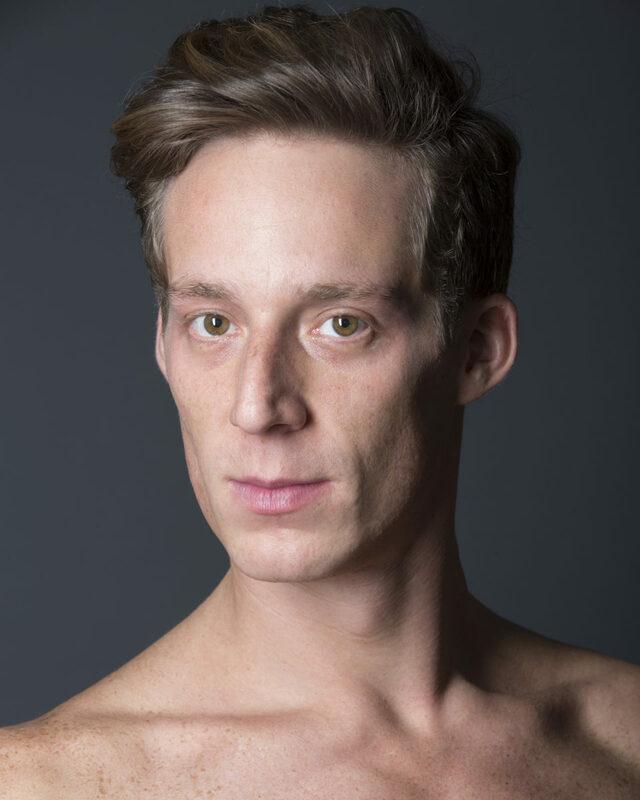 Hoven received American Ballet Theatre’s National Training Scholarship from 1999 through 2002 and attended ABT’s Summer Intensive for five summers. Hoven joined ABT’s Studio Company in September 2003 and the main Company as a member of the corps de ballet in April 2004. His repertoire with the Company includes a leading role in Brahms-Haydn Variations, the Ballerina in The Bright Stream, the Lead Mazurka/Czardas in Coppélia, Dorcon in Daphnis and Chloe, Espada in Don Quixote, Bottom in The Dream, the peasant pas de deux in Giselle, the Standard Bearer in The Green Table, Pierrot and Harlequin’s Friend in Harlequinade, Known by Heart pas de deux, Des Grieux in Lady of the Camellias, Russian Dance in Alexei Ratmansky’s The Nutcracker, Lensky in Onegin, Cassio in Othello, Benvolio and Paris in Romeo and Juliet, the Bluebird and a Fairy Cavalier in Ratmansky’s The Sleeping Beauty the Bluebird, the Russian Prince and a Fairy Knight in McKenzie’s The Sleeping Beauty, the Neapolitan Dance in Swan Lake, Aminta and Jaseion in Sylvia, Caliban in The Tempest, Ladislav Slivovitz in Whipped Cream and roles in Airs, After You, Bach Partita, Baker’s Dozen, Brief Fling, C. to C. (Close to Chuck), Clear, Désir, I Feel The Earth Move, In the Upper Room, Mozartiana, One of Three, Overgrown Path, Private Light, Raymonda Divertissements, Seven Sonatas, Sinfonietta, Thirteen Diversions and Troika. He created the Spanish Dance in Alexei Ratmansky’s The Nutcracker, the Italian Prince in Ratmansky’s The Sleeping Beauty and Don Zucchero in Whipped Cream, leading roles in AFTERITE, Her Notes and Serenade After Plato’s Symposium, and featured roles in Aftereffect (first production), Citizen, Everything Doesn’t Happen at Once, From Here On Out, Glow – Stop and Pretty Good Year. Hoven was a recipient of the 2008 Princess Grace Award as well as receiving a specially designated award, the Chris Hellman Dance Award, awarded to one recipient in the dance category each year. Hoven was appointed a Soloist in August 2016.